Two teams that are brilliant and flawed at the same time could make this final a classic. On Saturday, the season for Europe’s major leagues will come to a close with the Champions League final taking place in Kyiv, Ukraine. 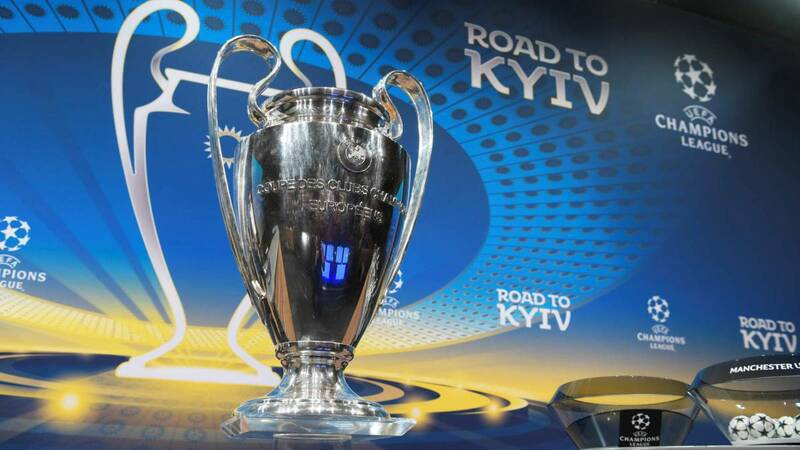 It will be between Real Madrid, seeking their 13th Champions League title, and Liverpool, seeking their 6th. The build-up to the final has been somewhat overshadowed by fans facing ticketing and logistical problems which have meant that what should be a happy, enjoyable occasion has turned into a stressful and expensive trip for many. Sadly, relatively low ticket allocations for fans at UEFA finals has become par for the course, with both sets of fans only receiving about 16000 each in a stadium that holds over 70,000, but the real problems for this final have been transport and accommodation. Local hotels have well and truly cashed in on the event, by not only raising their prices to exorbitant rates. Rooms that were $25 per night are now going for closer to $2500 per night. People who had booked rooms at the lower rates before the semi-finals had been played have found their bookings has been cancelled and their rooms have been re-sold for more money. Despite this, most of the rooms have been sold; some to ticketless fans, many, many more to UEFA’s battalion of sponsors and officials, which means that there are people in possession of tickets who can’t find accommodation. It should be noted that many Kyiv residents have been horrified by the price gouging and are appalled that it could lead people to think of Ukrainians as exploitative, have been kind enough to invite fans to stay in their own homes, but for people attending the game to be reliant on the generosity of complete strangers is a situation that should never have been allowed to happen. That of course assumes fans can get there in the first place. Flights have been chartered, but there are only limited slots available for chartered flights at Kyiv’s airports; as I’m writing this, Mayor of Liverpool Joe Anderson and Mayor of Kyiv, and former World Heavyweight Champion, Vitaly Klitschko are trying to find a solution to help the 1000 Liverpool fans who’ve had their chartered flights cancelled due to a lack of landing spots in Kyiv. Real Madrid have returned around 1000 tickets because their fans can’t get there, Liverpool may end up doing the same. Other fans have found creative ways to get there; some have flown to neighbouring countries and are taking colossal train journeys, renting motor homes are chartering buses to get them there and back. Now to the game itself. I’m probably jinxing it by writing this, but this has the potential to be a truly great final. Real Madrid will be the clear favourites; they come into this game looking for their third successive Champions League title, have better players than Liverpool and a ton more experience. But, Liverpool will be happy to be the underdogs. Had you asked them earlier in the season. Most Liverpool fans were just happy to see them back in the Champions League and would have settled for getting out of the group stages. What Liverpool lack in experience- they have an average age of 24, they make up for in enthusiasm. What they lack in individual playmaking flair, they make up for in having a system that creates a lot of chances. Having been able to see both teams in person this season, I think that they are far more equal than people may think. Both teams have the same weaknesses and inconsistencies as each other, which will mean that neither side will be afraid of the other and each will have worked out several ways they can win. Finals can often be quite tight and cagey games, I think this one will be much more flowing and open (may have jinxed it again). Most Liverpool games descend into barely-organised chaos at some stage, and this game will probably be the same. Real Madrid will be looking to attack and Liverpool don’t have the players to be able to sit back and defend. Even though Liverpool’s defence is far better than it’s given credit for, Real Madrid will be confident that they will get chances. They will probably aim to go after Liverpool’s 19-year-old right-back Trent Alexander-Arnold, who had his first really shaky game since breaking into the Liverpool team in the semi-final second leg in Rome, betting that his inexperience may give them a way in. Also, Real Madrid will know that Dejan Lovren can be extremely error-prone at times and will look to capitalise. On the other hand, Liverpool will be equally confident that their pressing game, superior pace and rapid counter-attacks will see them have a lot of the ball in the final third of the pitch and that the guile of Roberto Firmino and the blistering pace of Sadio Mane and Mo Salah will see them have chances to score. In the game I saw Real Madrid in a few months back, they lost to a goal on exactly the sort of counter-attack that Liverpool specialise in. For Liverpool to win, they probably need to be leading at half-time. Liverpool’s Champions League run has largely been due to the blistering starts they have made in games that has blown teams away. Liverpool play with their defence stepping up and compressing the pitch, and then the midfield and attack pressing to win the ball and then going forward in waves. If Real Madrid can figure out how to stop that, or pass around it, then they can stop Liverpool. If the game comes down to substitutions, then Real Madrid will probably win as they have far better players to bring on than Liverpool do. Liverpool’s decision to have a small squad, coupled with a few injuries means that they have extremely limited options in terms of making substitutions to change the game. If anything happens to one of the front three, they don’t have anyone who can provide anywhere near the same attacking threat. In the semi-finals and for the last few games of the season Liverpool played the midfield trio of James Milner, Jordan Henderson and Georginio Wijnaldum in every game, with no midfielders on the bench because they had no more midfielders available to use. Liverpool’s midfield options have improved due to Adam Lallana and possibly Emre Can being back from injury, but even so their bench contains nowhere near the quality of the Madrid one. Similarly, Madrid’s superior experience will come into play if they are in front coming into the later stages of the game. They know how to see games like this out. Liverpool’s worst moments in the Champions League this season is when they have been caught in two minds between carrying on attacking and sitting back to defend, so if Liverpool have a narrow lead in the late stages of the game, Real Madrid will still fancy their chances. I don’t think anyone will pretend that this year’s Champions League finals contains the best two teams in Europe. I also don’t think anyone can deny that Real Madrid have the better players. But, Liverpool will be quietly confident their team matches up against Real Madrid’s weaknesses well and Liverpool have found ways to overcome more talented teams than them before. Either way, this game has the potential to be a classic. Steven Gerrard's choice to manage Rangers is no where near as obvious as people think it is. Today, Glasgow Rangers ended their near season-long search for a manager by appointing former Liverpool and LA Galaxy player Steven Gerrard on a four-year contract, which will begin at the end of this season. Gerrard’s only coaching experience to date is as coach of Liverpool’s under-18, where he did a solid job. Gerrard has announced that his assistant will be former Scotland midfielder Gary McAllister and he will also be joined by fellow Liverpool academy coach Michael Beale. At first glance, this seems like a great move for all concerned. Scottish football gets a big name in football coming to coach in its league; which in turn will boost the profile of the Scottish game and boost TV ratings. Rangers get a whole lot more attention from outside of Scotland and potentially become a more attractive proposition to new signings. Gerrard gets his first go at football management in the rare position of coming to a massive club, but doing so in almost unheard of circumstances, as nobody necessarily expects him to come and start winning trophies straight away. If he can establish Rangers as the second-best team in the Scottish Premiership ahead of Aberdeen and Hibernian, maybe beat Celtic in a game or two and goes deep in the two cup competitions and takes Rangers further in Europe than the disastrous campaign this season, that’ll be seen as a job well done. So, this is a no-brainer, right? Well, no. This is actually a massive risk by both Rangers and Gerrard. Make no mistake about it, Rangers are a gigantic football club. They have a vast fanbase-they average close to 50,000 fans every game- and facilities that are the envy of most clubs. But, they are also something of an empty shell of a club. For all of the shiny exterior, they are completely hollow inside. This is a club that is suffering on and off the pitch. This season Rangers have managed to go out of European football in July after blowing a 1-0 first leg lead to lose 2-0 Progres Nederkorn of Luxembourg, a team that not only had never won a European game before, but had only ever scored one European goal. That defeat was the beginning of the end for manager Pedro Caixinha, who was pictured trying to appease fans while being stood in a shrub. When Caixinha was fired in October, Rangers failed to find a replacement and appointed former Reading defender Graham Murty as Caretaker manager. Rangers have stuttered ever since. The job was just too big for Murty, who after two recent humiliations to arch-rivals Celtic, was somewhat unfairly fired. With one game left at the time of writing, Rangers could finish as high as second or as low as fourth. So not only will Gerrard will take over a team that isn’t pulling up trees, he’ll also be taking over a dysfunctional group of players that are utterly demoralised and even worse, are at each other’s throats. The 4-0 Scottish Cup semi-final defeat to Celtic saw midfielder Andy Halliday swear at a Rangers fan after being substituted, then Greg Docherty and Alfredo Morelos had to be pulled apart from each other in the tunnel after the game. Then, in the dressing room following the game, veteran striker Kenny Miller and club captain Lee Wallace got into such a furious confrontation with Murty they’ve both been suspended by the club and aren’t expected to ever play for Rangers again. So, Gerrard’s first job will be to restore some order to the chaos that has been the Rangers dressing room and then start to help the team regain their confidence. It seems evident that new signings are needed; though the already announced signing of Scott Arfield from Burnley is a good one. The question is do Rangers have the means to do so? If you remember, back in 2012, following some financial mismanagement that was so serious it led to criminal charges being laid at former owner Craig Whyte, who was acquitted, Rangers went bankrupt and, depending on your point of view, they either restarted back in the bottom division of Scottish football, or an entirely new team that bears a strong resemblance to Rangers did. Ever since, Rangers have bounced from financial crisis to financial crisis. They have been losing around £7m per year and are now completely reliant on loans from club directors to keep going. A lot of Rangers fans believe the club is in exactly the same position they were in when they went bankrupt. A few months ago, betting was suspended on Rangers being relegated for financial problems. While all of this has been happening, Celtic have not only established themselves as the dominant force in Scottish football- they’ve just won their seventh successive title- but are now head and shoulders above the rest financially largely thanks to some smart work in the transfer market, where they’ve managed to buy players cheaply then sell them on for a large profit. The gap between them and the rest is massive. If Steven Gerrard is serious about wanting a career in football coaching, then he’s taking a serious risk in starting at a club with so many unknowns. I’m sure he wouldn’t have taken the job had he not been given guarantees about the club’s finances; Gerrard turned down the job at MK Dons because he wasn’t convinced by what he saw. The wrongly held belief in England is that the Scottish Premiership is an ‘easy’ league, and therefore winning it is no great achievement. The average English fan, who will probably know nothing about the current realities of Rangers, will be expecting Gerrard to be winning titles immediately. If he doesn’t win a title at Rangers, and at this moment that is a very remote possibility, Gerrard will unfairly be tarred with the “couldn’t even win a title in Scotland” brush and that may be the end of his coaching career before it’s really begun. All coaches have to start somewhere. Rangers have decided that Gerrard’s lack of experience doesn’t matter. Maybe they’re right. Maybe Steven Gerrard will galvanise Rangers and then go on to have a coaching career as glittering as his playing career was. But, there’s an equal chance that this could blow up in either of their faces. Rangers are taking a chance on a completely unproven coach rather than a coach with a track record of steering a team through some troubled times. Gerrard is taking a risk on a club that has been a basket case for years and one that could stop his career at the first hurdle. Either way, this appointment is nowhere near the no-brainer that people may think it is. Why Rooney's return to Everton makes a lot of sense. The "Black Diamond" loses a lot of its luster when it's rolled out next to obvious low-effort, they'll-buy-it-anyway nonsense like Cincinnati's inaugural replica. The USMNT isn't even to Farmer Maggot's mushroom patch yet, let alone Mordor.